Have you wondered what toolbars and browser extensions actually do? You would think because they are part of the browser that they are safe, but you could be misled. Create a data disaster and erase your information. Give Digivie a call at (613) 277-2312 to get ahead, stop these extensions from providing harm you your systems, and protect your data. Reviews can tell you a lot about software downloads. Most people who comment and take the time to write a review are proficient and believe in the product. Security enthusiasts will go out of their way and explain exactly what the extension/add-on actually does. As for toolbars, this becomes a bit harder because most do not have a review page. It’s easier to stay clear and stick to extensions/add-ons as your main source of tools. Looking for an average rating of 4.5-5 stars is a good start. You should be running some type of security and anti-malware program on your system, anyways. This will not only scan incoming downloads and sources, but files residing on your computer. Some reviews can be misleading and a real-time prevention system is a good way to double check your safety. A good security system will also scan your network from threats coming from other devices and outside sources. With Digivie providing you with the protection you need, you will not have to worry about data disasters and security breaches, again. 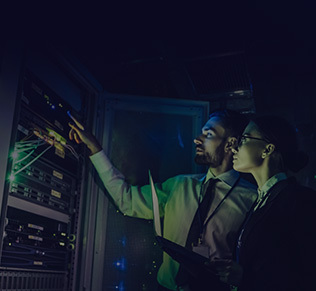 With all of your IT solution under the same roof, you can be sure you are safe from the nasty threats that are out there today and coming tomorrow. Give Digivie a call at (613) 277-2312 or email info@digivie.com for a quick response and a custom solution for your needs.